Last week I did a video Skype call for a camp as part of their daily training seminars offered for the youth pastors there. 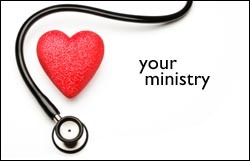 I was asked to talk about evaluating the health of a youth ministry, but we spent most of the time talking about what a healthy youth ministry is and then discussed how to evaluate it at the end, because obviously you can’t evaluate something if you don’t know what it is first. Unfortunately, there was a bit of a delay on the call due to a poor Internet connection on their end, but it’s still worth listening to. It’s about 41 minutes long. You can listen to the whole conversation in iTunes or using the link below.